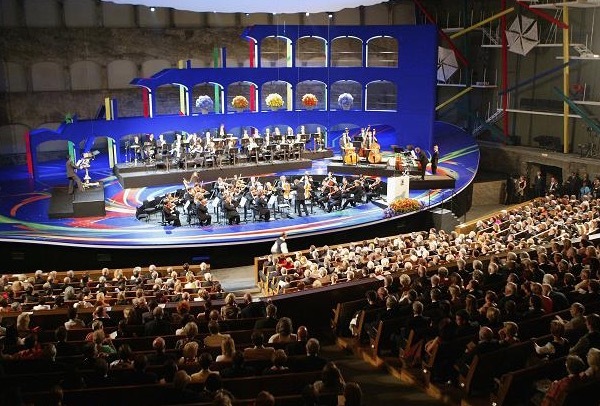 Salzburg, arguably the world's most important city for classical music, has two main concert halls: the Großes Festspielhaus, the larger auditorium, and the Kleines Festspielhaus, the smaller and more intimate venue. I've attended a few sensational acts recently at the larger venue (Lee Roy Reams, Marilyn Maye), but last week I ventured downtown to the Flatiron district to catch Penny Fuller and Anita Gillette in their malapropism-istically-titled show, Sin Twisters, at the Metropolitan Room. The two couldn't look or sound more different, at least to me: Penny, a statuesque Venus; Anita, a petite bundle of energy. But over the years, according to the gals, they have been repeatedly mistaken for one another. Not of course by the cognoscenti, but (I infer) by fans of musicals and the like. Hence the show title. Penny announced that her photo is even on Anita's IMBD page. All this was in good fun, as was the adorable banter (both married doctors, both divorced doctors), as the gals tried to one up each other, all the while ostensibly talking about their careers. Penny and her icy don't-mess-with-me stare seemed to win. Usually. ("Did you date Cy Coleman?" They both did. "Were you chased around a bedroom by Arthur Schwartz?" They both were. "Did you know Irving Berlin?" Two points, Anita.) Convincing patter is hard to pull off, but the gals held my attention with their charm. And their obvious comradeship and affection for one another was clear. But, I'd come to hear them sing. Happily I was not disappointed. They rattled through a handful of duets relating to their "sin twistership," and it's good to know that their voices are in fine metal, with Penny typically singing a third above Anita who expertly harmonized below. Performers I had the good fortune to see when I was younger made an indelible impression on my heart, and now when I see them perform all these decades later, I'm magically transported back to the first time. 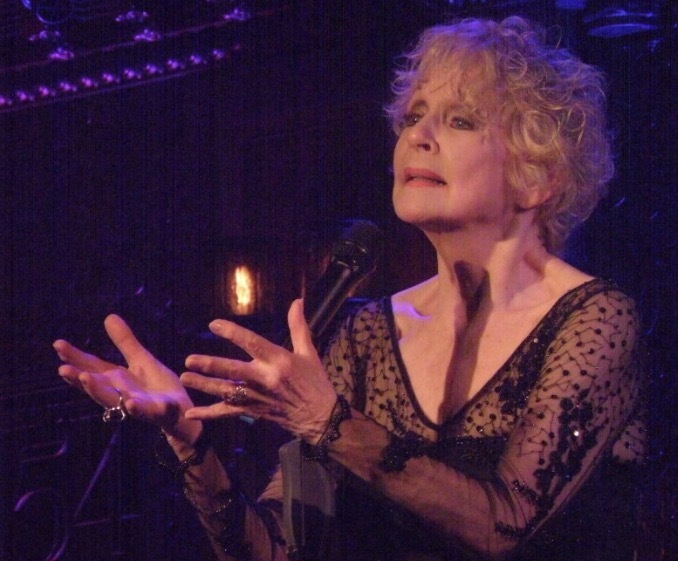 My friends who love musicals (well, the old ones, anyway) feel similarly, and we fondly reminisce about the first time we saw Penny in Applause and the first time we saw Anita in Cabaret. Once seen, never forgotten. This show was a wonderful reminder of their enormous talent. 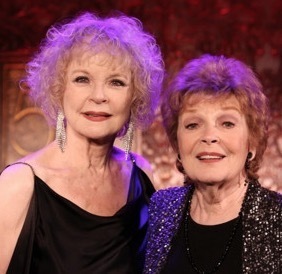 More synchronicity: both ladies came to New York around the same time, both ended up in the chorus and understudied leads, and both originated roles around the same time. They chatted about their respective doctor-husbands (their ex-doctor husbands! )who wouldn't allow them to perform on stage after they were married. The audience gasped. But even in the 70s, I guess women were supposed to stay at home, cook, and make babies. The verse to Penny's next solo sounded familiar, yet I couldn't place it. Then I realized why not: I had never heard a woman sing this Sondheim song, "Finishing The Hat." Penny turned this tour de force song about an artist struggling with his relationship into an emotional, cathartic, sung monologue for a woman who wanted/needed to perform, but whom the mores of the time (and her husband) would not permit to explore her art or herself. Penny, throughout the years, has played all of the "serious" classical roles, and she brought all of this classical training, all of the roles, and all of her personal struggles to bear on this one performance piece, which was the revelation of truth itself. Her entire being seemed condensed into a single moment of energy ready to explode into a universe. I've heard the song performed many times before, but no other performance has touched me as deeply. The last section of the show was my favorite because it was a tribute to my favorite musical, Cabaret. 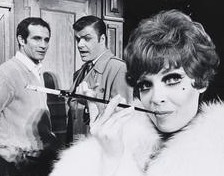 Penny was the original standby for Sally Bowles in 1966 (fifty years ago, God help us) and went on 100 times. Anita was the first replacement and performed the show for two years. I saw one revival of the show and vowed never to see another, for the original production was so burned into my brain, I felt I must keep it safe in my mind, unadulterated by any "newly improved" revival. 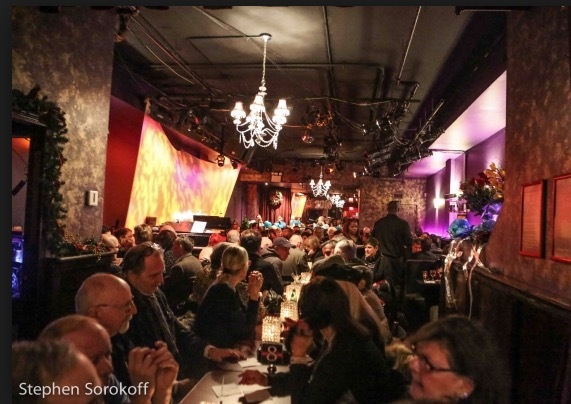 The minute the vamp to "Wilkommen" started, the two ladies transported me back to the Broadway Theater where I seemed to be watching the original Harold Prince production. Of course neither of them actually sang "Wilkommen" in the original. Yet they were there. And something in their delivery was authentic and something in their faces screamed out "This is how it's done!" 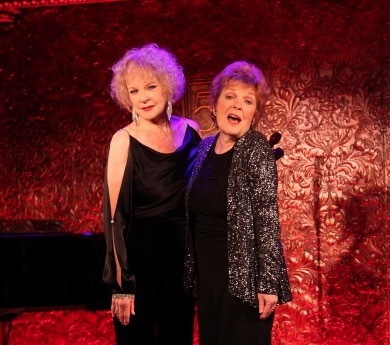 They paid tribute to the great Lotte Lenya, the original Fräulein Schneider and Penny, the better mimic of the two, did a spot-on impression of Lenya singing the delicious "Pineapple Song," thick German accent, long scooping notes, sprechstimme and all. But the denouement of their entire act was their sublime version of the title song, "Cabaret." Though hard to imagine, once upon a time, that was just a song from a show (albeit a remarkable song from a remarkable show), but it was not yet THE tune that the entire world would sing--before the movie, before Liza wanted to "go like Elsie," before Liza did not "want to go like Elsie," before Liza decided to hold that note for an eternity. 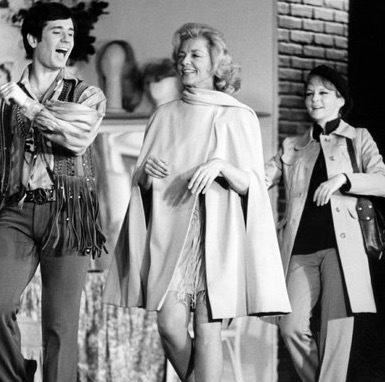 Hearing Penny and Anita sing it, I was transported back to 1968 where two brilliant actors, guided by Harold Prince, performed a number that summed up an entire two-hour show, not to mention an entire culture and world, and belted it out on Broadway. The women split the lines, each one bringing her version of Sally Bowles, and each one channeling the power and pathos of that gal from Chelsea. Perhaps my favorite moment of the whole evening was when Anita was singing her line, "No use permitting/Some prophet of doom/To wipe every smile away," and I caught Penny simply looking at the audience. She didn't sing a note, she just stood there motionless; yet I saw everything, heard everything, felt Sally's hopes and dreams, the memories of her rotten past, the evaporating fantasies of her future. Everything. With a simple look, this goddess had me mesmerized. Now that's acting.